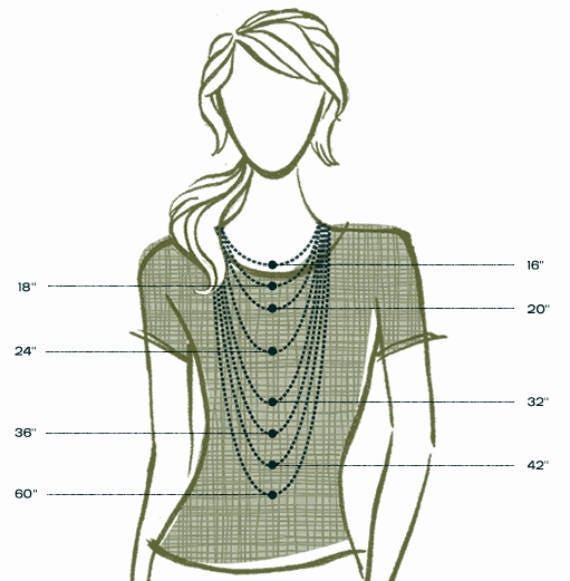 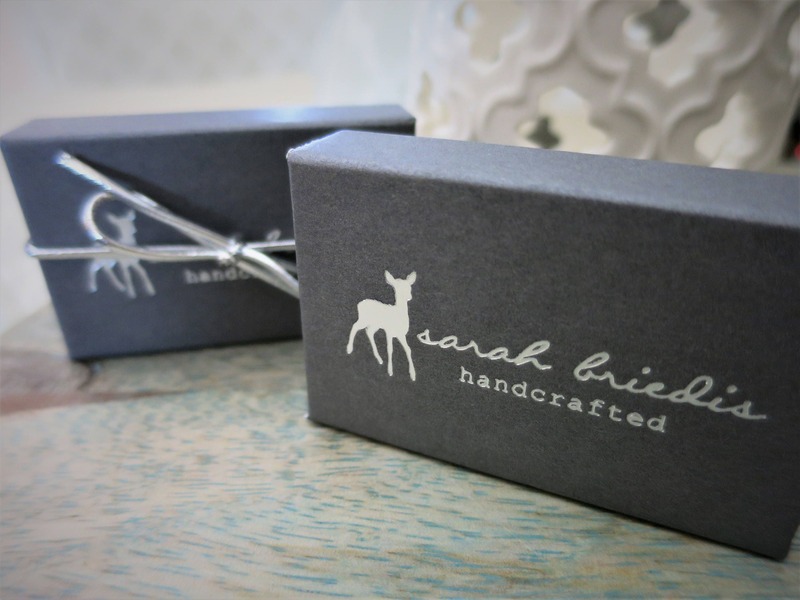 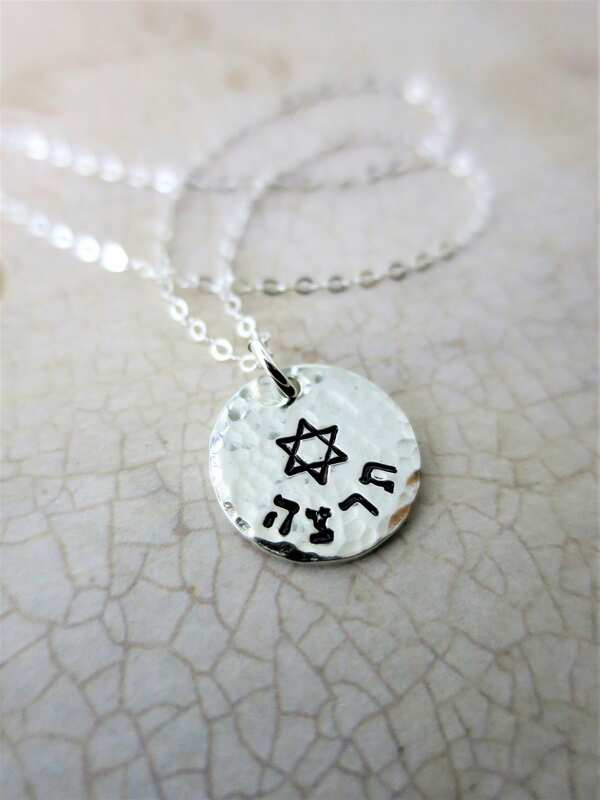 ∞This lovely necklace makes a perfect gift for your Jewish girl. 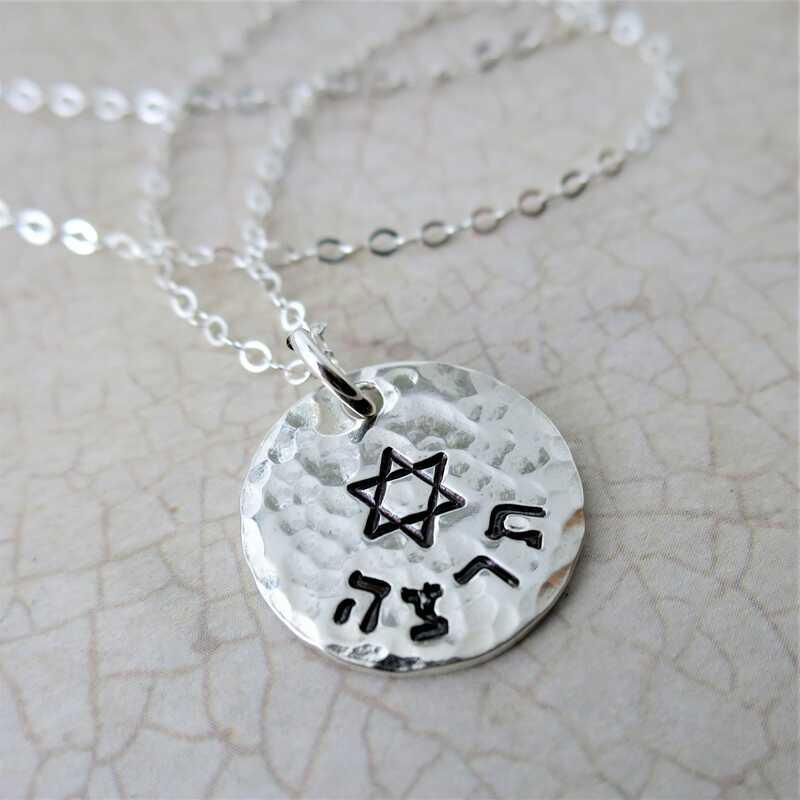 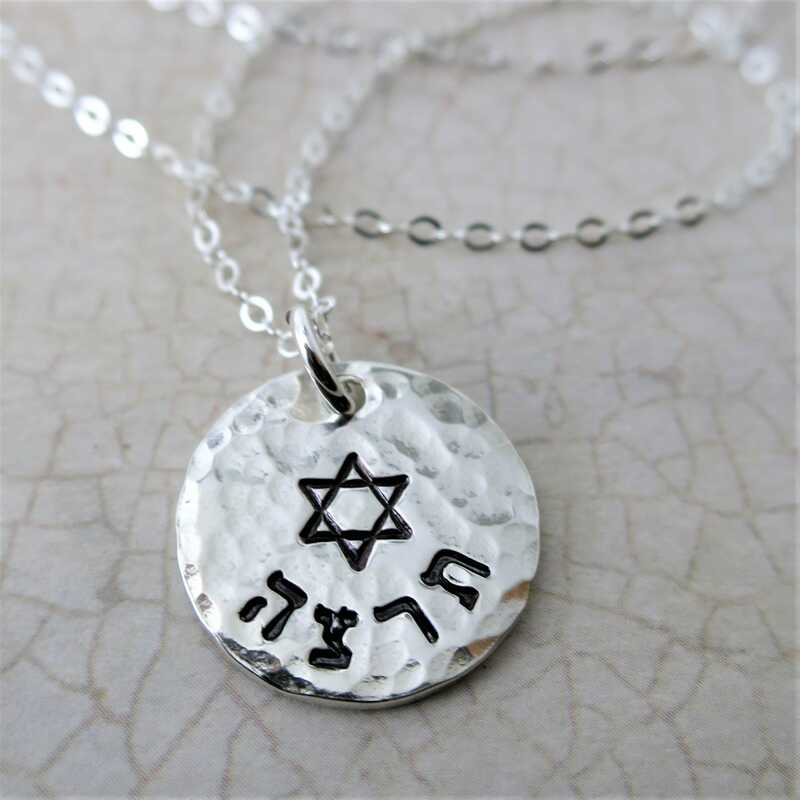 Hand stamped with their name in Hebrew, as well as a Star of David, this necklace works well alone or paired with other delicate layering necklaces. 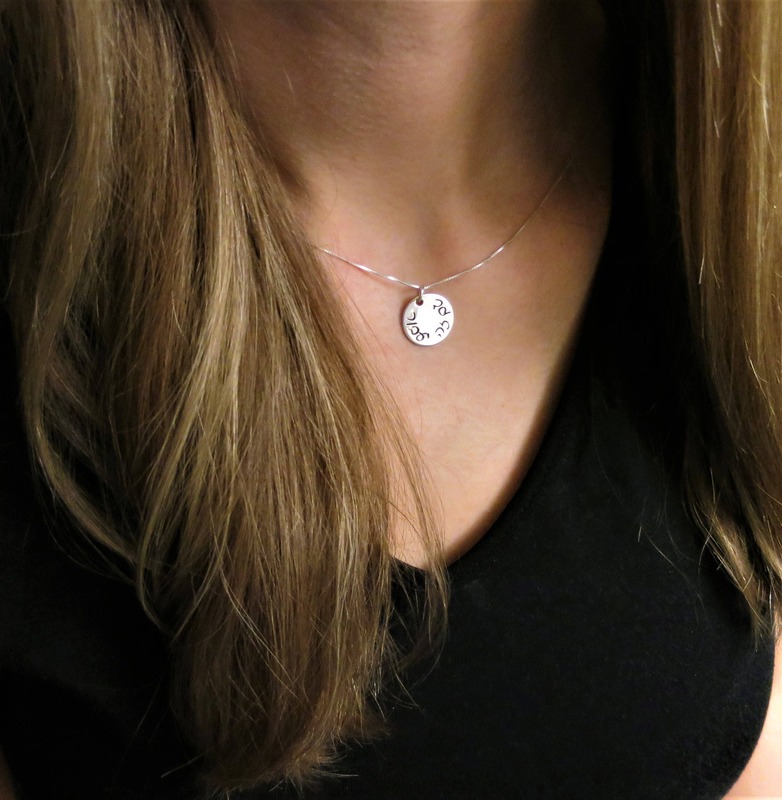 It has a modern but organic look, with a hammered, shiny and ink-darkened finish for depth and contrast.